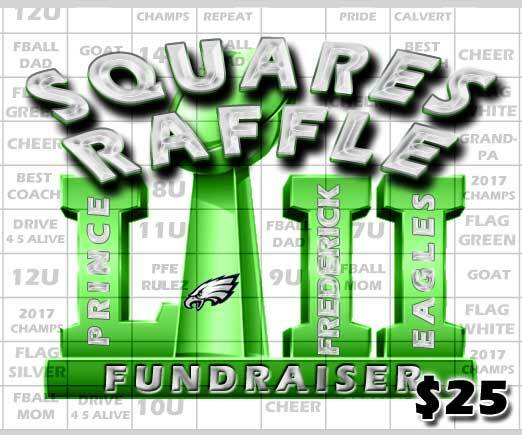 Get your Super Bowl squares today! 50% being donated to the Prince Frederick Eagles organization. We thank you for your support! Note: These prize amounts are based on a full board and will change if the board is not completely full. If any spaces are left empty and that space results in a win the payout for that empty block will be donated to the Organization. via clicking the PayPal button below.